One of the only ways to keep THE TOOLS OF WILDLIFE MANAGEMENT alive in an ever changing America is to talk about it. Jeff is invited onto the Coyote Trapping School Podcast and talks trapping with host Kris. We discuss the Furbearer Conservation project, the state of regulated trapping in America, nuisance wildlife control, and the psyche of the animal rights activist. This was a fun and insightful interview to say the least! Jeff sits down with Jay Scott from the Big Buck Registry, for a fireside chat about the Eastern Coyote's biology and trapping. An episode not to be missed for anyone interested in wild canid management! Jeff sits down and talks trapping with Fred and Jay on the National Wild Turkey Federaration's offical podcast: The Strutzone! A great interview with some great guys! Furbearer Conservation™ contributor Jeff Traynor assists NH Fish & Game with another Fall Adventure Talk discussing Managing Furbearers in NH. Jeff is featured as a guest for NHPR's Outside/In Radio podcast, to discuss beaver trapping in New Hampshire. The show also discusses the great debate about whether "beaver pipes" are the "cure-all" to beaver issues. 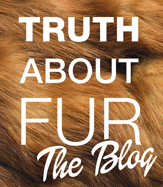 Jeff Traynor is featured once again as a guest blog writer for the fur advocacy website TruthAboutFur.com. This article features a call for unity among all sportsmen and women. Jeff provides commentary on the NH bobcat season proposal, the NH Fish and Game Department, and the current state of Sportsmen's voices in legislation. Featured in the editorial section of NH hunting & fishing news magazine The Hawkeye. 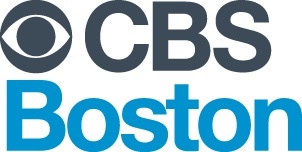 Jeff is a featured guest on Wayne Barber's award-winning radio show "Outdoor Scene". Discussion includes general trapping topics and thoughts regarding current public perception. Our featured article "Trappers: Conservation’s “Black Sheep” or Unsung Heroes?" Is featured on Canadian fur advicacy website Truth About Fur. Our blog article "Trappers: Conservation's Black Sheep or Unsung Heros?" is featured in the winter issue of Ontario Fur Managers Federation magazine. Jeff Traynor teams up with NH Furbearer biologist Patrick Tate and NH trapper Bob Levasseur to discuss managing NH furbearers. Jeff's stance on modern trapping made clear in a recent "Letter To The Editor" rebuttal piece. The article garnered a great deal of attention from New Hampshire's small but boisterous animal-rights crowd. Jeff Traynor is featured as a guest writer for trapping advocacy website and blog TruthAboutFur.com. This first article features personal experienes and commentary about life on the trapline. New Hampshire's bobcat hunting season proposal heats up in the media. LiveFreeAndTrap.com provides a featured stance via the Associated Press.